Sometimes users meet Authentication Failed issue while integrating QuickBooks Desktop with Super Dispatch. What does it mean and how to fix this issue? It means your old company application file is stored somewhere in QuickBooks or web connector. This issue comes up when the current application QWC file already exists. 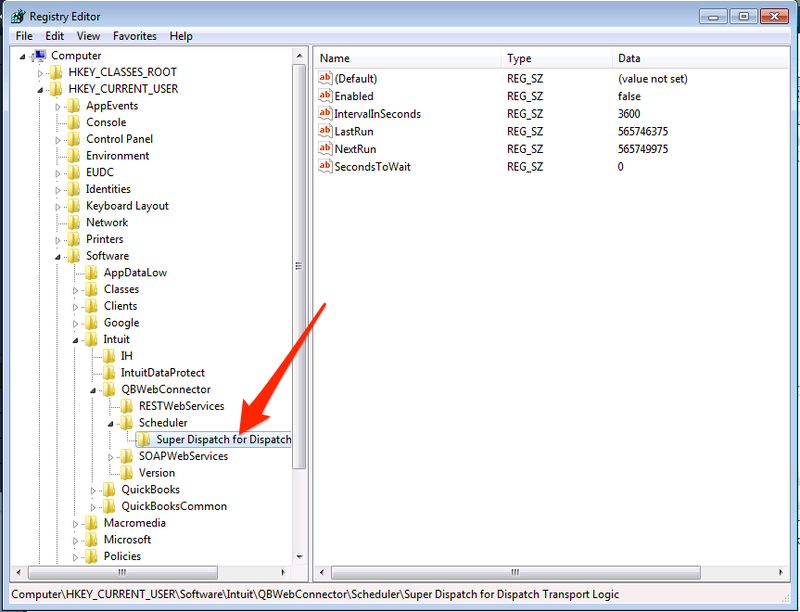 In this case, you have to remove the old QWC file from web connector and Super Dispatch Integration from QuickBooks Desktop. Open QuickBooks Desktop and the web connector, and Remove the application QWC file by clicking Remove button next to Password field. 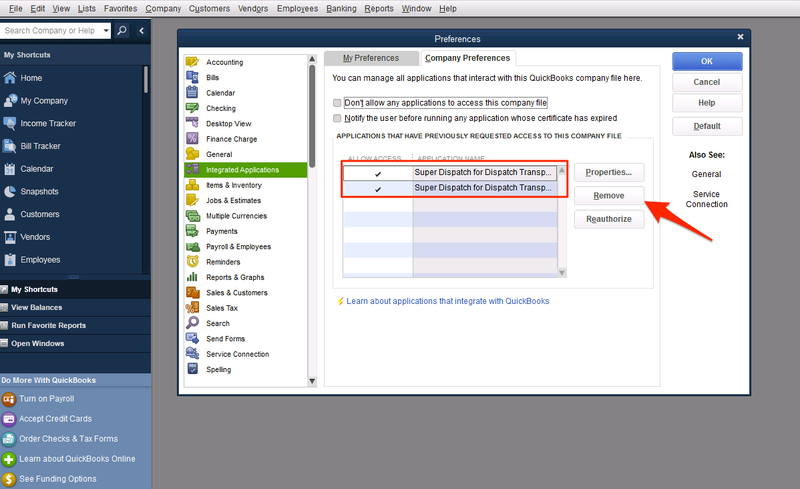 After removing the application file please integrate QuickBooks Desktop with Super Dispatch again. QBWC1088: Company file do not match. It means that you opened other company. 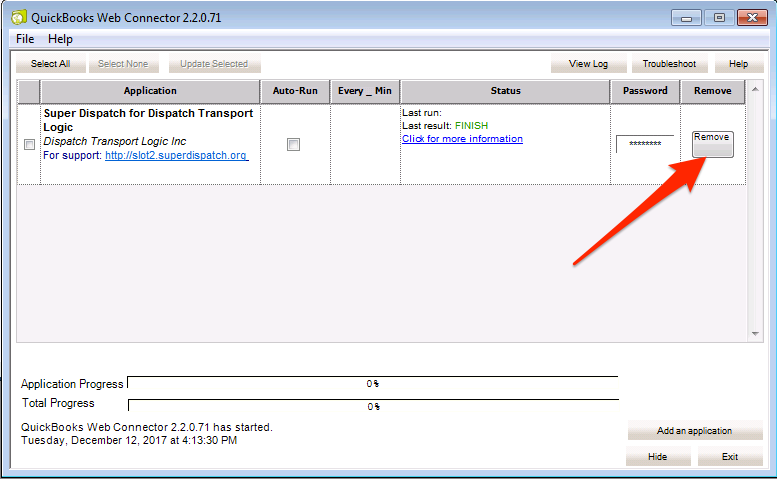 You have to open the company file that you integrated with Super Dispatch. On the alert message you can see where the company file stored. 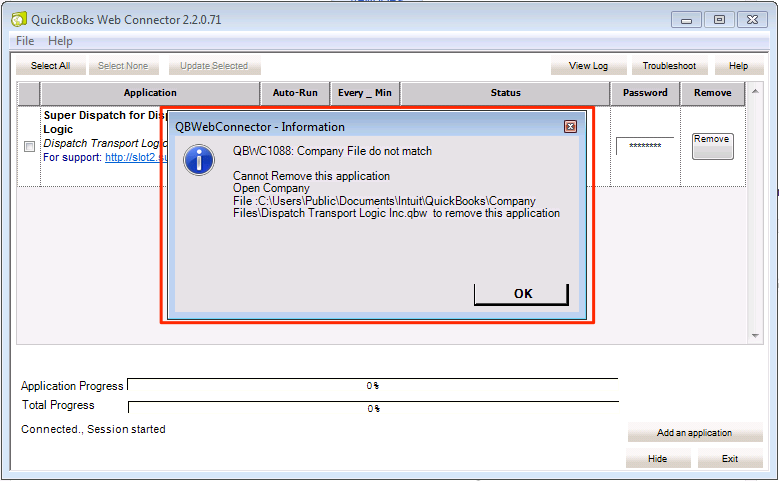 Click on the OK, find the company file and open it, and try to remove the application QWC file from web connector again. 3. If neither of those steps help you, you will have to Force Remove the application file from Windows Registry Editor. The next step is remove the integration from QuickBooks desktop. To do this open QuickBooks desktop, go to Edit→Preferences→Integrated Applications→Company Preferences and Remove the integrations beginning with Super Dispatch. 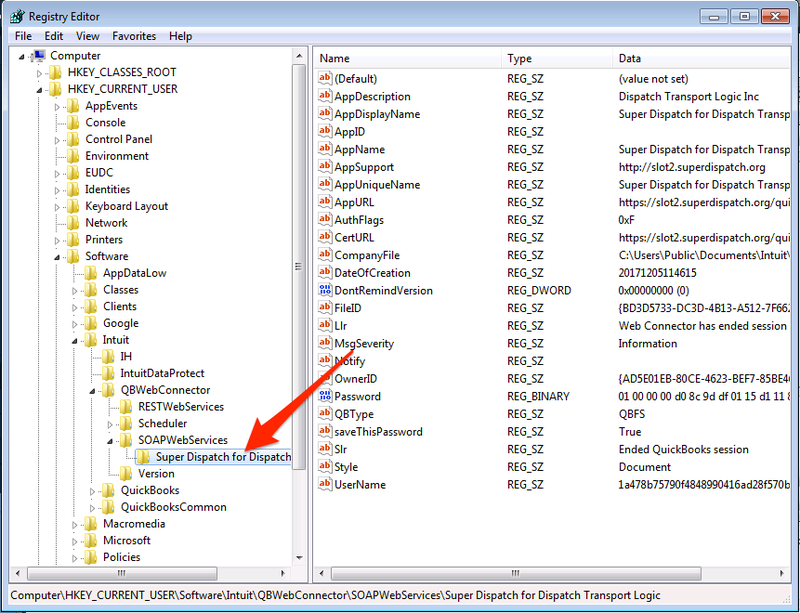 Note: you must have Admin access for QuickBooks desktop to remove the integrations..
Now you can Remove the application file from web-connector as listed above and integrate QuickBooks Desktop with Super Dispatch again. If these instructions don't fix the issue, try out this article instead: QuickBooks Desktop error QBWC 1039 with Web Connector.